Arthur has been a Leadership & Organizational Change Keynote Speaker in 54 counties. As the original developer and founder of the accredited Directive Communication Psychology and best selling author of 11 books, his unique and effective contributions to leadership and organizational culture development, have earned him the Global Gurus Award in the Leadership and Organizational Culture categories and is globally ranked as the #9 and #6 thought leader in these areas. 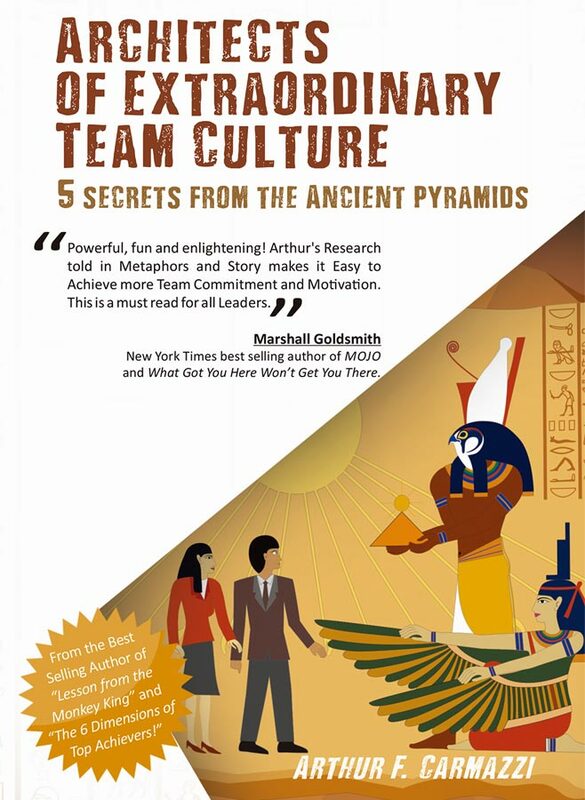 In his Motivational keynotes, Arthur focuses on the psychology of leadership, gamification, technology and organizational culture, and how they are intertwined to affect performance, attitude, and personal and organizational success . His talks, even short ones, are interactive, fun (and funny), and motivational. Arthur’s Leadership & Organizational Change Keynote Speeches are actionable and inspire and motivate to take action after the session. He has performed Leadership & Organizational Change Keynote Speeches for audiences as large as 12,000 and works with every client to customize his talks to as sure client objectives. Based on Arthur’s latest book, “Lessons from the Monkey King – Leading Change to Create GORILLA-SIZED RESULTS”. This keynote deals with the very real dynamics of how an organizational culture affects an individual and their personal effectiveness. The emotions and fulfillment an individual experiences are all interrelated to corporate culture. Armed with DC psychology and force multiplication strategies, one person can lead change no matter what position they have. One person makes a difference. 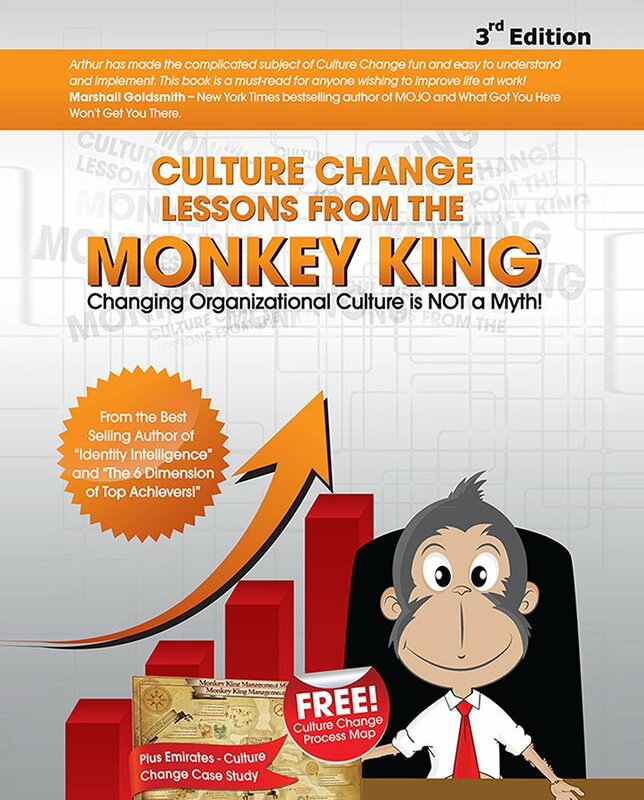 Get inspired on this fun and magical journey with Arthur F Carmazzi to becoming the Monkey King and create a high performance organizational culture. The decisions a leader makes under stress can be either devastating to the effectiveness of an organization and it culture or powerfully innovative. Our Leadership decisions and the values we live by reflect on our organizations performance and our character. Our decisions are the essence of how others view us and react to us. In essence it is our “Identity” as a leader that affects our ability to inspire others to greatness. To consciously decide our leadership Identity and “Act” intelligently instead of “React” to our environment is Leadership Intelligence. This short talk not only informs and inspires Leaders to find their own leadership identity, but to use it to make better leadership decisions that affect the culture of their organizations. Participants will be rejuvenated with new power to become an even greater leader. Discover the foundation for Superior Workforce Cooperation and Effectiveness. Change groups psychology and how it relates to productivity, leadership, sales/marketing, and customer service by learning and experiencing the tactics that will Revolutionize your working environment. This high energy talk jumps through the “Directive Communication” approach to culture enhancement using combinations of Leadership psychology, mental and emotional awareness, and strategies from US Special Forces PSYOPS to create a chain reaction change within an organization. Understand the “Blame Frame” and why you got sucked in to it. Based on Arthur’s book: “The Psychology of Creating the RIGHT Corporate Culture”, this talk addresses elements of blame and shows how to cure the causes not just the symptoms of this culture infecting disease. Participants will learn about how and why blame is influenced by their environment and how “It’s really not your fault”. They will recognize the elements of cooperative responsibility and the central roles each must play to overcome the Blame Frame and cultivate the new “Responsibility Frame” Leaders will also gain new insights to improve their skill in developing responsibility in teams. A Short, but Highly Interactive program designed to train you as a Leadership speaker who can fire the imagination, ambition and inspiration of your stake holders, and establish a “Brand Congruent” leadership presence. By learning and applying a range of Directive Communication™ psychology-based techniques, you will discover extraordinary depths to your speaking qualities that profoundly impact your audience’s perception of you and your organization. You will inspire your people and the media to craft greater authority in line with organization’s Brand Identity. Based on Arthur’s book of the same name. How is it that the Pyramids at Giza lasted for over 4500 years while the hundreds of pyramids before them have failed. Discover the secrets that make motivation and quality last to build monumental organizations.